Yoga teaches us to focus the mind. Ayurveda keeps us healthy enough to do yoga. This website offers most of the herbs, oils and ayurvedic products that you need to maintain health and live ayurvedically. Everything is organic. Be sure to get on their email list for tons of promos and savings! This is my school’s ayurveda store and they offer only the safest, best quality herbs and oils, directly from the farms in Kerala. This company brings herbs in directly from India and offers a larger variety of herbal formulas and oils. Every ayurvedic treatment plan ends with rasayana to nourish and heal the tissues weakened during the imbalance. Delightful chyavanprash – a rasayana (rejuvenator), strong immunity and great for your vitamins! Beautiful selections of spices, herbs, peppers, salts, body care, teas. Organic sugars, including palm sugar. Amazing breads, fine quality foods – produce, dairy, eggs, meats, pastas, sauces, jams, treats, and more. Top of the line grocery items. Butcher, fine meats and…dog food! Yes, feed your dogs real farm fresh meat prepared just for them. Flourish Bakery – bakery made with love, breads are organic and the rest is absolutely amazing! An important video to learn about the magic of breathing. Learn how to begin a breath practice. This is a great practice, any time of day. I would recommend doing it in the morning and in the evening before bed. If you have a sandbag, place it on your belly as you progress. Learn how to do ujjayi breathing, either sitting or during your yoga practice. Learn this balancing breathing practice for calming the mind and body systems. A variety of chant collections – sounds clips and words, translations are included. Chanting heals the mind. 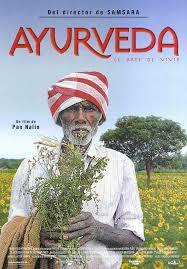 Everyone should have a collection of ayurvedic cookbooks! Remember not to worry so much about doshas when cooking if you’re balanced and healthy. Variety is the spice of life. If you could only buy one cookbook, this is the one! It has all of the traditional ayurvedic recipes, as well as some amazing other ideas for cooking healthy, tasty, fresh foods. This will inspire you to get in the kitchen and have a blast doing it! Molekule – This is an amazing air filter – I have one in my home and run it all the time. It kills viruses, cleans out allergens, dust and pet hair, and it looks super cool! It’s pricy, but they have a payment plan that makes it totally doable. Great for Salt Lake City inversions!